“New Eyes for Industry” is Tamron’s philosophy. This slogan is consistent with the company’s position as a manufacturer of a wide range of precision optical equipment. 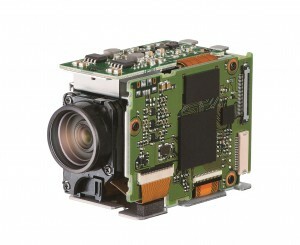 As a leading lens manufacturer, we are now using all our know-how to develop unique camera modules for applications like UAVs, where limitation of vibrations, compactness, low weight and highest optical performance are essential. Our new camera module MP1010M-VC is equipped with optical vibration compensation (VC) for the first time in the industry which assures high-quality image stabilization when images are captured in a vibrating environment. The dimensions (31.9mm x 41.5mm x 58.4mm) and weight (approx. 77g) of MP1010M-VC are optimum for both recreational and commercial drone users. The video output is compatible with the industry-standard 1920 x 1080 Full HD. Our proprietary optical design, advanced low-reflection coating technology, extensive engineering knowledge and in-house manufacturing know-hows, ensures superb image quality. By submitting this form, you consent for your details to be sent to Tamron Europe GmbH and its authorized partners in order to respond to your inquiry. Depending on the location of the organization, your personal information may be transferred and processed outside of the European Economic Area.